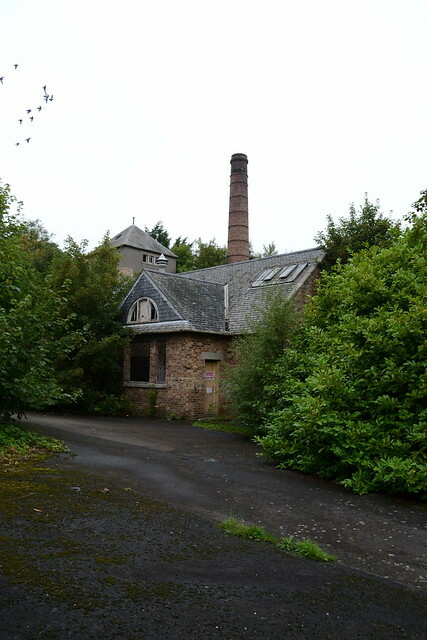 Tucked away in the woods in a fairly remote corner of East Lothian is a decaying cluster of low brick buildings. 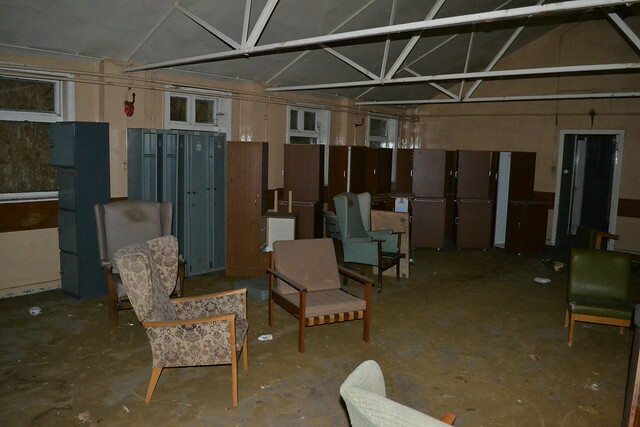 Originally opened as a tuberculosis sanatorium in 1922 but later re-purposed as a psychiatric facility, East Fortune hospital closed in 1997 and has been derelict ever since. 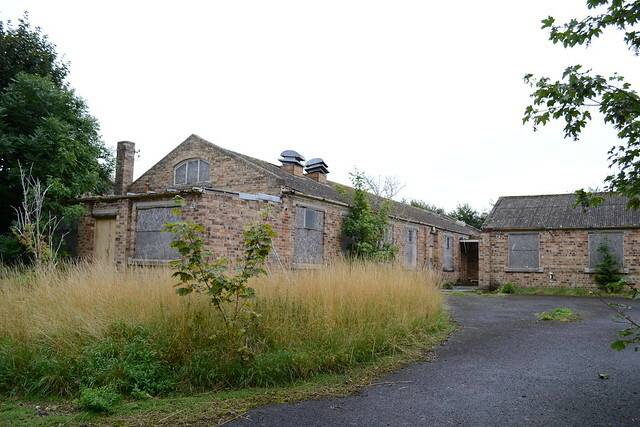 Towards the centre of the site, a rambling main building contains what was the kitchen. 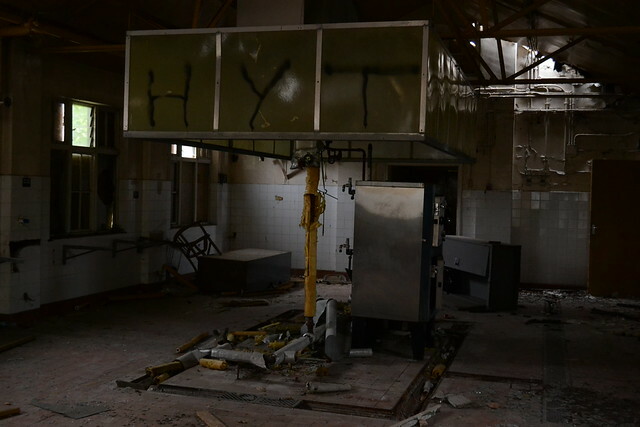 Several huge cookers are still in place, along with a blackboard that was once used to note down food requirements for all the various wards. 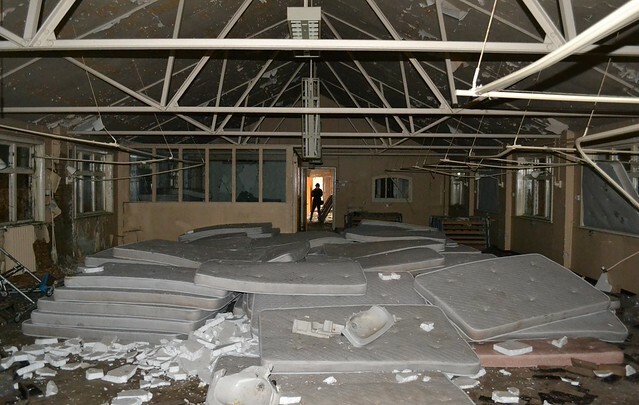 Elsewhere in the main block, huge numbers of old beds and mattresses sprawl across the floors of many of the larger rooms and are stacked almost to the ceiling in others. Also near the main block is the boiler house with its imposing brick chimney rising high above the rest of the buildings. Inside, some impressively huge plumbing fixtures remain. 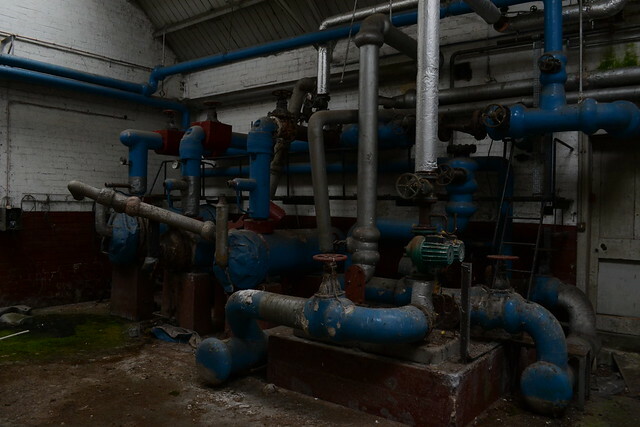 The hot water from the boilers was carried to the other buildings by large pipes, mostly underground but visible in places. 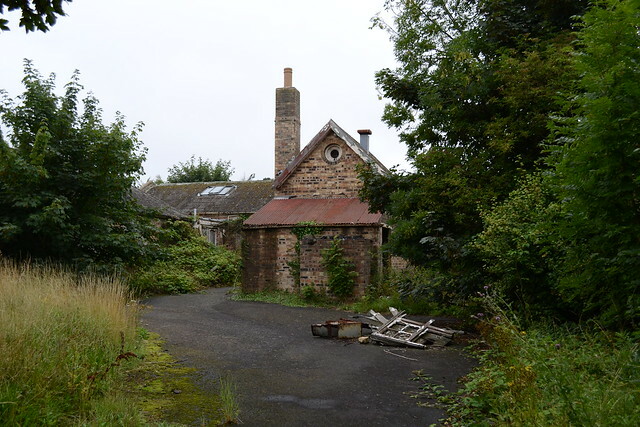 Another larger building adjoining the boiler house may have housed some sort of recreation room – a pool table and an electronic organ lay in pieces on the floor, as well as – more creepily – the remains of several prams. Most of the other buildings are villas that contained wards, all built in the same style and with very similar layouts. There are many reminders of their old function – in some, the lamps and curtain rails for each bed can still be seen attached to the walls and ceilings. and a nearby office still contained hundreds and hundreds of health board leaflets from when the place was operational. Near the entrance, a large metal shed was once the ambulance workshop. 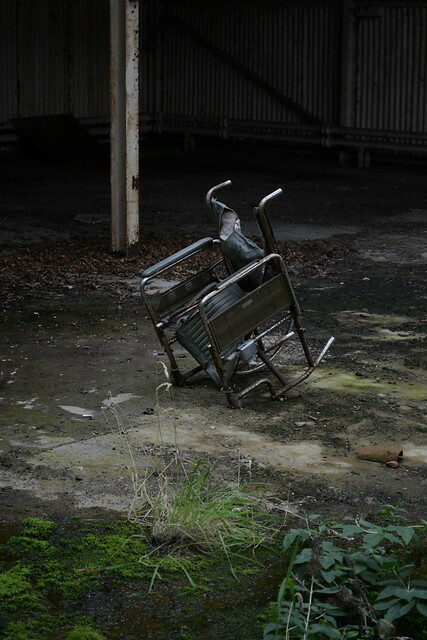 Among the old oil cans and vehicle parts was this rather forlorn looking one-wheeled wheel chair. This turned out to be one of the most enjoyable explores I’ve ever done – there was so much to see, it took about three times as long as I’d expected to get round everything. Boring safety warning bit: if you do go here (and it would be a bit hypocritical for me to say don’t), please be aware of the dangers, particularly the asbestos. 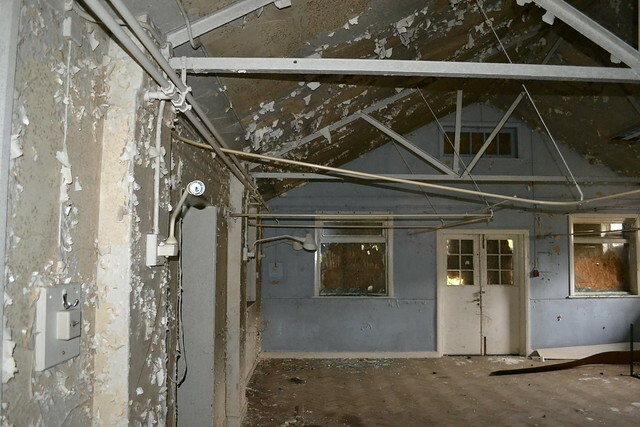 I don’t know whether this place really poses much more of an asbestos hazard than most abandoned buildings or whether it just has scarier warning signs, but better to be on the safe side – P3-grade masks are a good idea if you venture inside. Many more photos on my flickr. My mother worked here as a nurse carding for tb patients also a nursery here? I haven’t found any specific reference to a nursery during my research on this place, but I think there probably was one as we saw several prams in the room next to the boiler house. I lived in the hospital grounds at the Orlits near the railway end from 58 till I joined the army in 76. 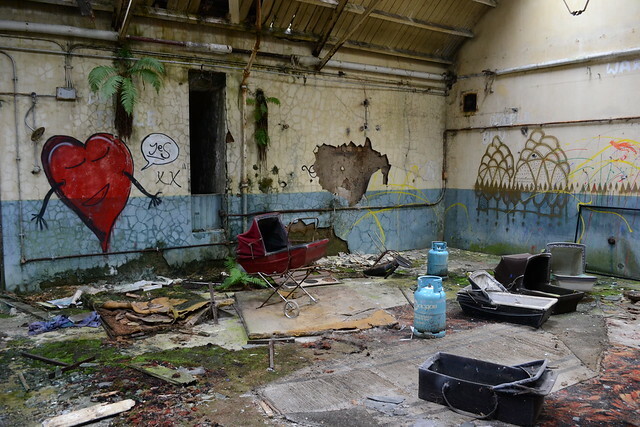 My parents where both nurses dad Staff nurse and mum was a night nurse It really pains me to see the place in such poor state, I can remember it all trim and the grounds in really good condition. I have very happy memories.